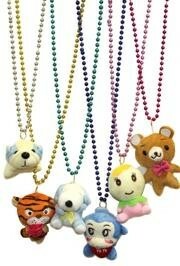 Everyone loves our adorable Forest Animal Beads! 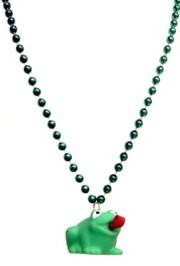 We have the best collection of adorable Mardi Gras beads and throws. 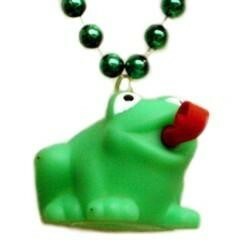 Our Animal beads collection includes Frog Beads, Monkey Beads, Bear Beads, Teddy Bear Beads, Turtle Beads and Easter Beads. 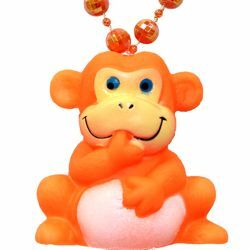 Get your Forest Animal bead necklace today with Frog necklaces, Monkey Necklaces, and Bear Necklaces being the most popular. 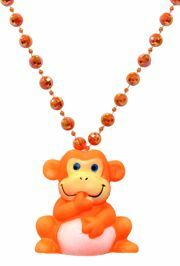 This necklace has 4 squeaky monkey in-line medallions. 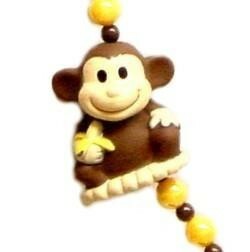 Each adorable monkey is holding a banana. 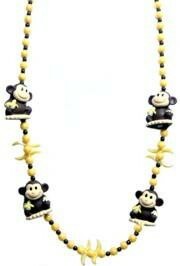 Some of the beads on this necklace are shaped to look like banana peels.